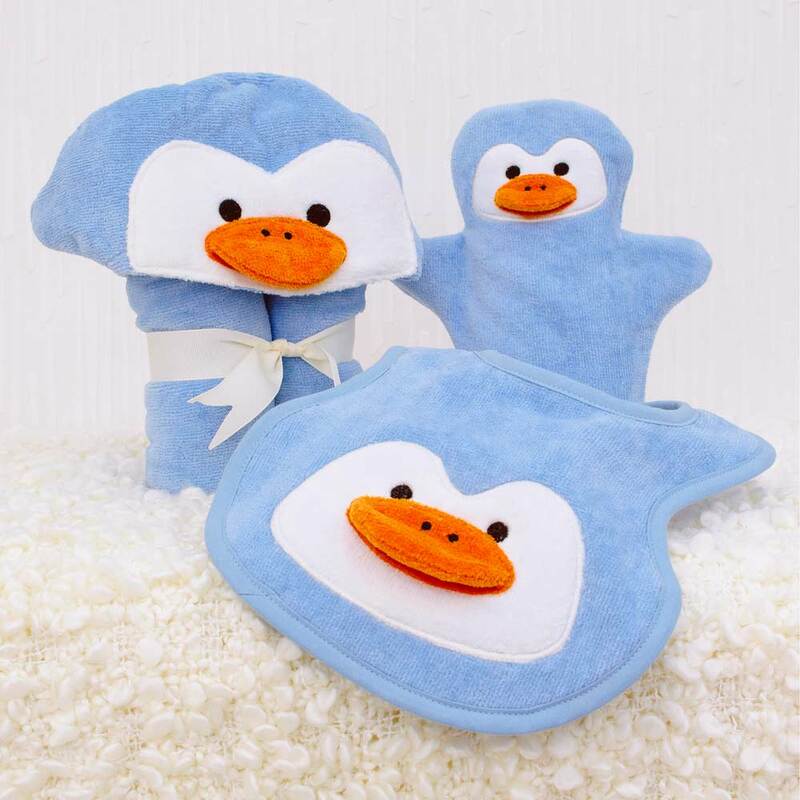 This Perky Penguin Baby Towel Gift Set includes a baby bath towel, matching bath mitt and baby bib, all made using the finest silky-soft and super-absorbent 100% velour cotton terry towelling which stays plush, wash after wash.
For a really special touch, why not personalise your new Perky Penguin Baby Gift Set - your choice of name beautifully embroidered on the back of the baby towel. 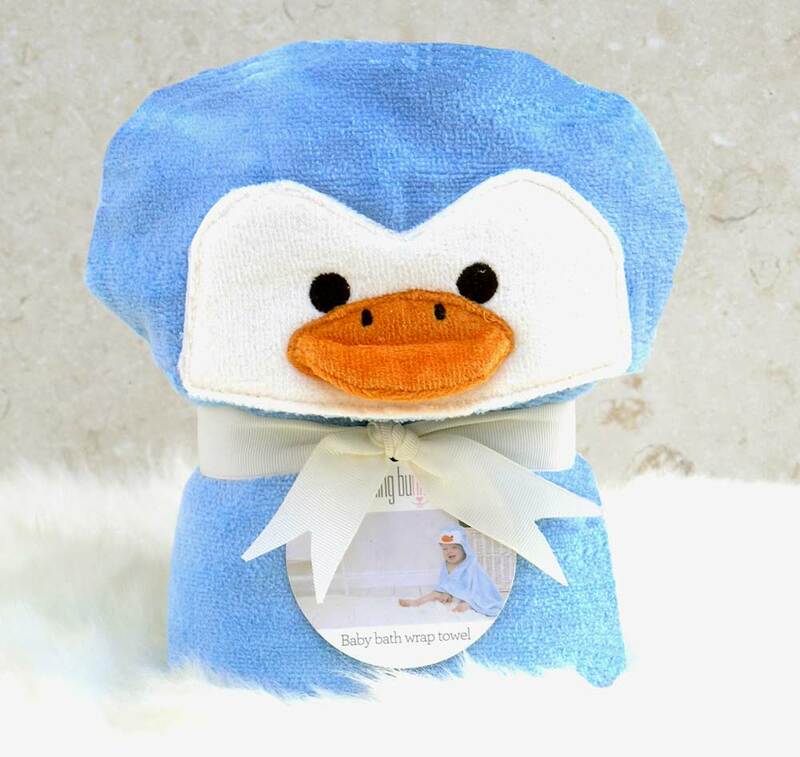 If you select the gift-wrap option, we will present your Perky Penguin Baby Towel Gift Set in a Bathing Bunnies gift box lined with tissue paper to create an extra special baby present. 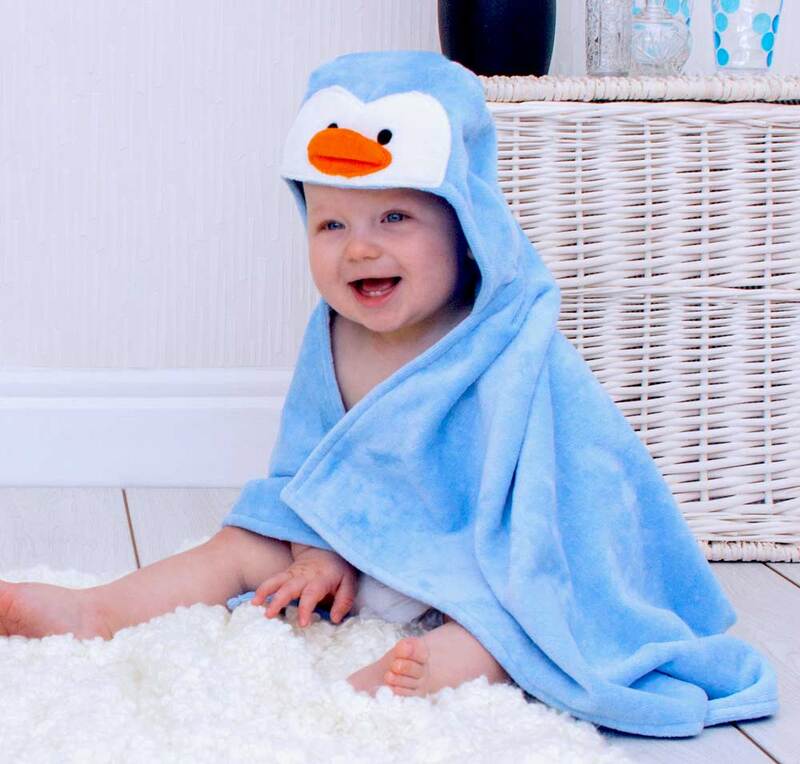 Why not treat someone special to the ultimate in personalised baby gifts - A Bathing Bunnies Perky Penguin Baby Towel Gift Set! 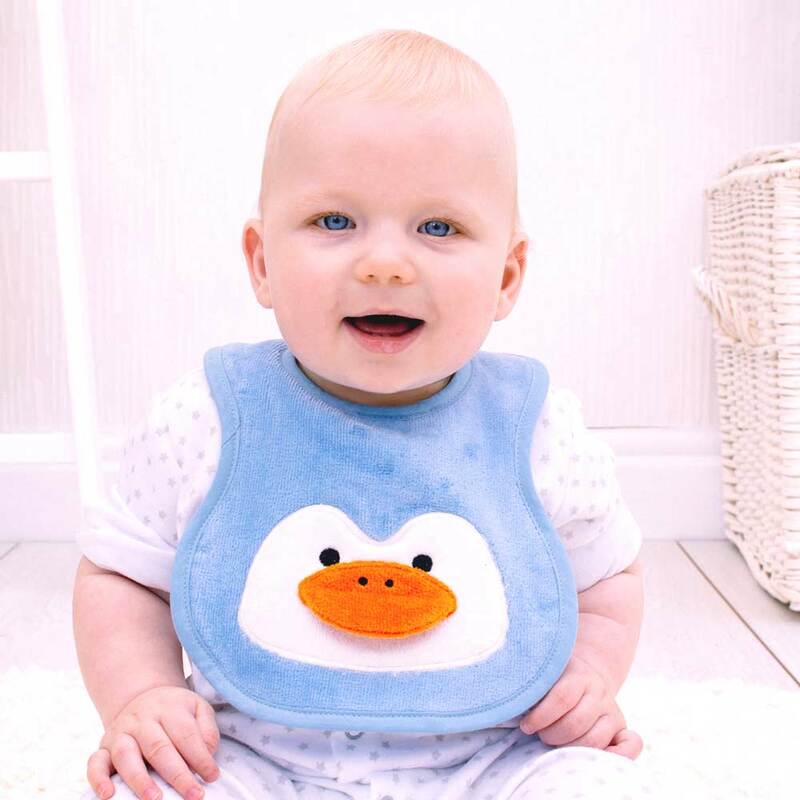 The Perky Penguin Baby Towel Gift Set includes a snuggly soft Perky Penguin hooded baby bath towel, matching bath mitt and baby bib. 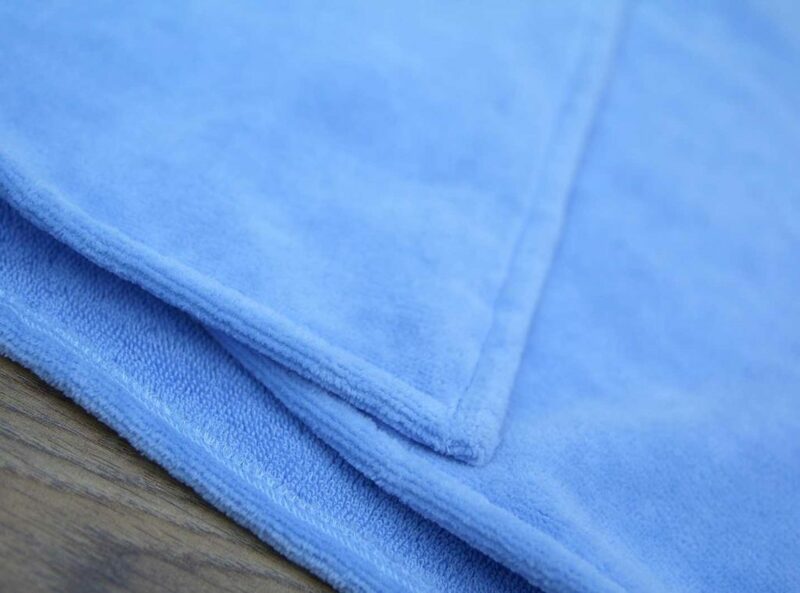 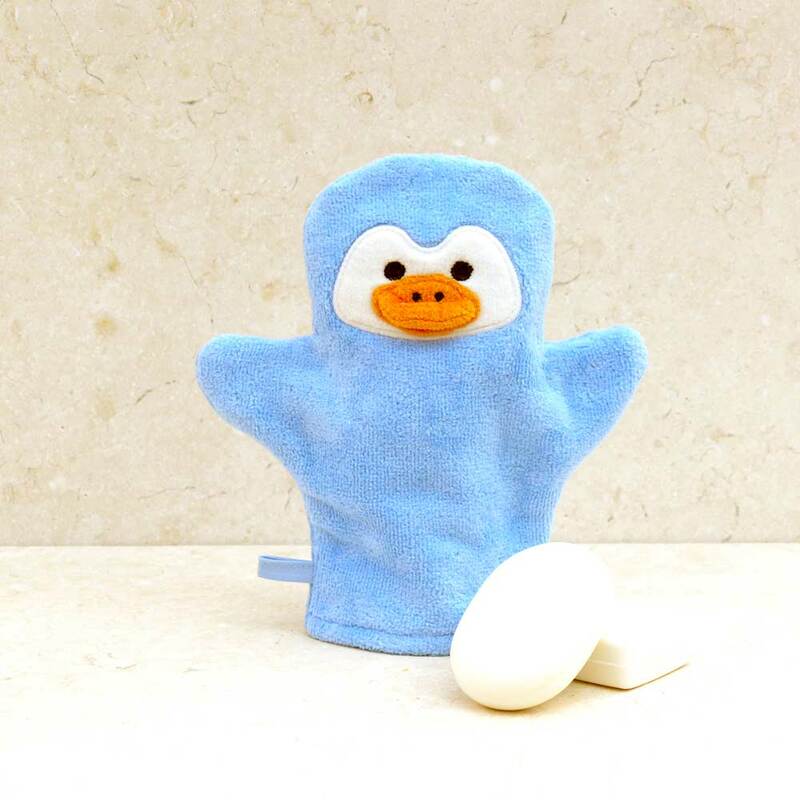 The baby towel features the cutest sky-blue penguin with a bright orange beak, cleverly folded and beautifully presented with a cream ribbon to create a freestanding soft 'toy'. 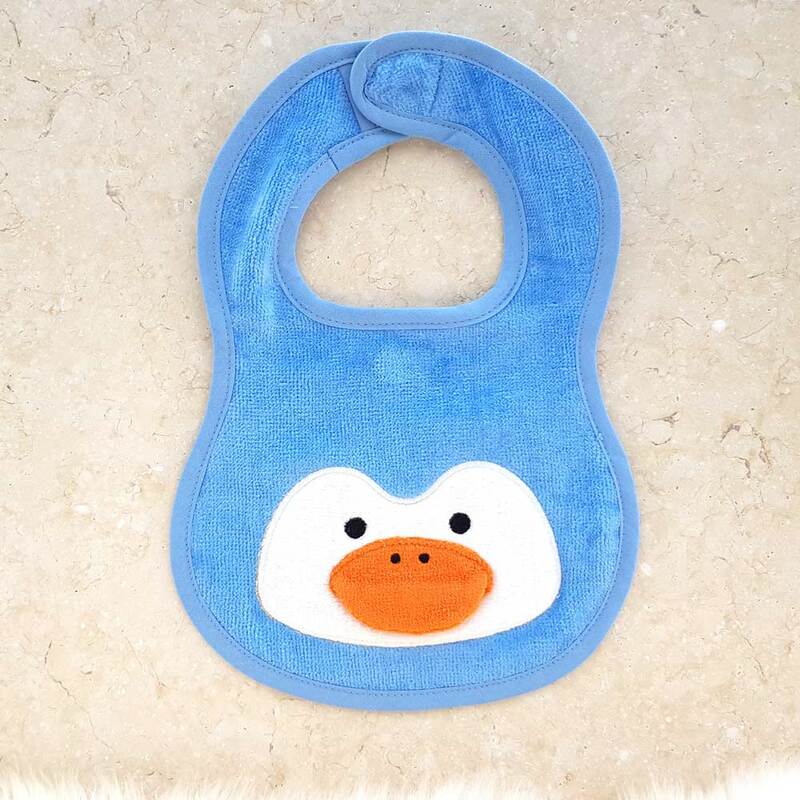 The matching Perky Penguin bath mitt is both practical and fun and, to complete the set, we have also designed a super-absorbent, machine washable Perky Penguin baby bib to protect against even the messiest of mealtimes! 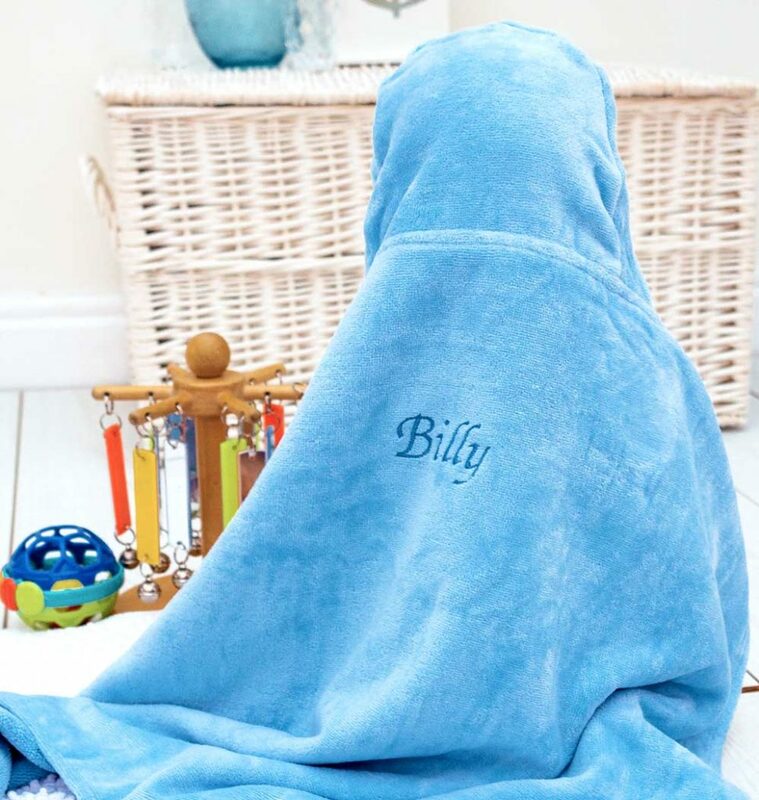 Our luxurious Perky Penguin Baby Hooded Towel Gift Set is the ultimate in bath time chic and makes the perfect personalised baby gifts - for baby shower presents or new baby gifts for christenings, birthdays and Christmas. 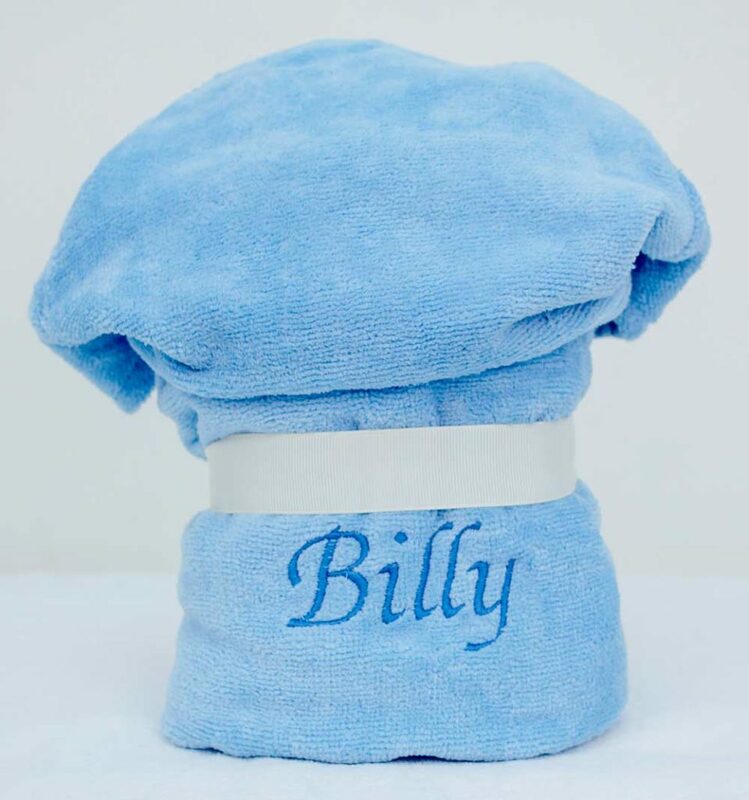 Super cute gift set for new born! 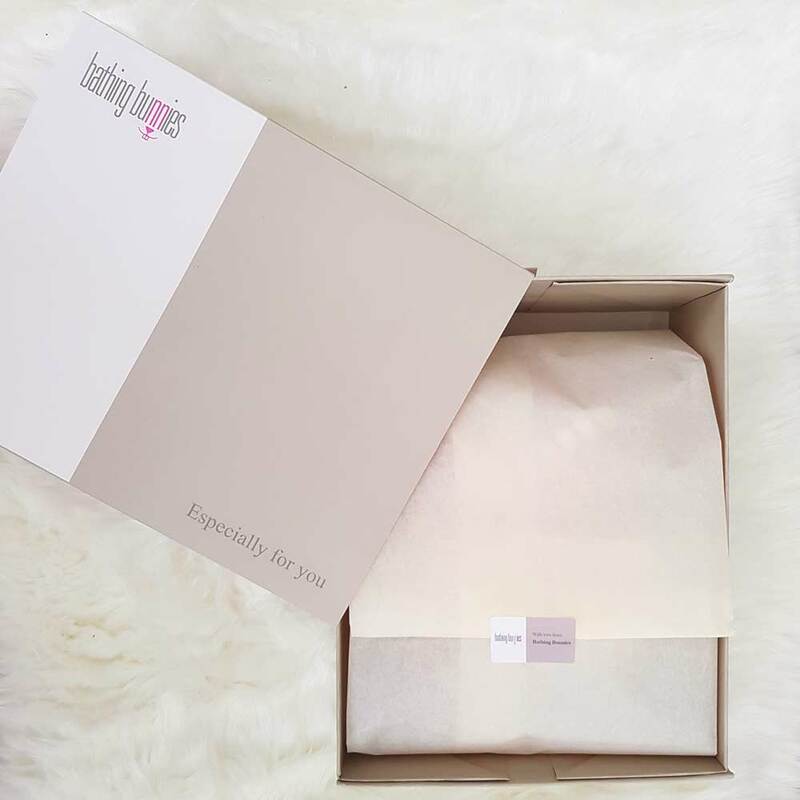 Bought as a gift and it’s still in the packet but it looks lovely, just what I expected.